We offer a wide variety of personalized services. Viewing with the casketed remains of the deceased present in either our funeral home or other venue. Visitation to be held on a separate day from the actual funeral ceremony or combined with the ceremony of your choice on the same day. The visitation affords time spent with family and friends to remember and honor the death of one we love. Formal funeral ceremony at an appointed time either in our funeral home, church or other venue. The formal ceremony allows for clergy or funeral celebrant to pray, eulogize and commemorate the life of the one we love. These plans may also include, following cremation, the gathering of family and friends to finalize services together at a cemetery for the burial of the cremated remains of the deceased at a later date. These plans do not include merchandise, crematory, cemetery, clergy or church, flowers, newspapers or any non funeral home related expenses. 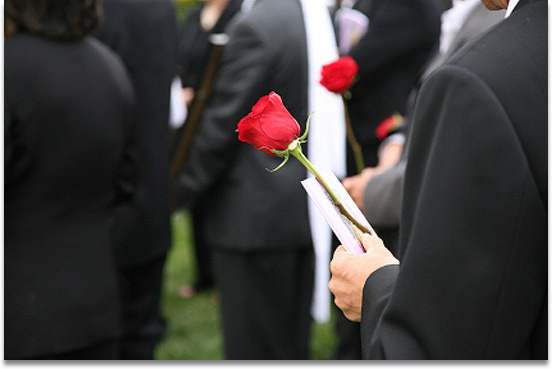 A Formal or informal funeral ceremony at an appointed time either in our funeral home, church or other venue. The formal ceremony is conducted by clergy or funeral celebrant. The informal ceremony may be conducted by family or friends. Both allow you to pray, eulogize and commemorate the life of the one we love. Contemporary plans allow for a greater flexibility when planning services. These services are often provided and adjusted to the convenience of family and scheduling issues. Cremation with no rite or ritual.